The CORE Monitor presents high-definition video from all CORE cameras over an AES Encrypted 5 GHz wireless channel. The display screen is 5.0 inches and made of 1mm Gorilla Glass to provide extra durability and sunlight readable capability. 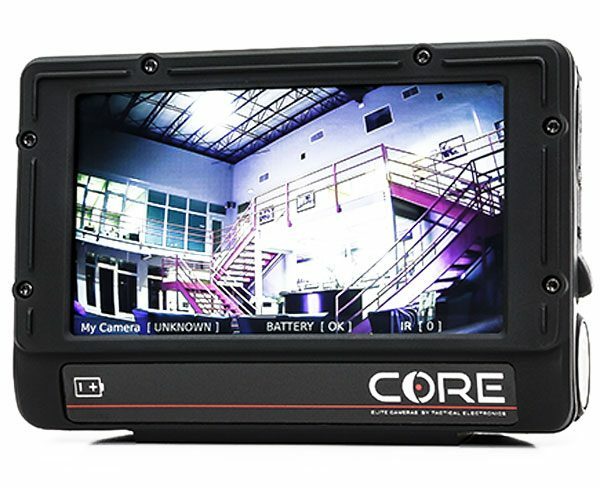 When viewing video from a CORE Camera with Thermal Fusion technology, the CORE Monitor allows remote selection of the current view or thermal view with a single button press. Additionally, the camera’s illumination can be enabled, disabled, or dimmed via the monitor’s rotary wheel. The CORE Monitor features both backlit pushbuttons for critical, real-time controls, and a capacitive touch screen for pairing multiple CORE Cameras. An optional hardwire cable connection is available for RF-restricted environments. Attach the CORE monitor to your wrist with our secure Velcro strap or use as a handheld monitor.